It’s hard to name a memorable Woody Allen release in recent years. Blue Jasmine was saved by a strong central performance; Café Society had a sprightly youthfulness to it that made it approachable. But Irrational Man, Magic in the Moonlight, Midnight in Paris? These middling attempts at reintroducing Allen’s signature, quirky neuroticism into the 21st century failed to do just that. And his latest film, Wonder Wheel, falls victim to that same hopeless cause. Starring the confusingly cast Justin Timberlake, Wonder Wheel follows his Mickey Rubin, a lifeguard and prospective playwright who, looking into the camera in the film’s opening scene, sets up the story of Ginny Rannell (Kate Winslet): wife of Humpty Rannell (Jim Belushi), Ginny engages in a passionate love affair with the younger Mickey, a relationship that comes under turmoil once he meets Humpty’s recently resurfaced daughter, Carolina (Juno Temple), who is looking for refuge after a disastrous break-up from her gangster/husband. It’s as messy as it sounds. Allen can’t seem to decide whether he wants to direct a classical, Douglas Sirkian melodrama (complete with pastel-coloured cinematography, courtesy of Vittorio Storaro) or a self-serious, unstable-family drama in the vein of Tennessee Williams (Ginny bares an unsubtle resemblance to that writer’s classic creation, Blanche DuBois). Because of this, I found myself struggling to care for the characters and their multiplicitous narratives. Plot points pop up out of nowhere, reminding us that, amidst the commotion of the film’s relationship dynamics, Carolina is still in peril, or that Ginny’s rebellious son Richie (Jack Gore) is still devoted to committing acts of arson in another pointless narrative detour. Allen refuses to settle into a rhythm and as a result, Wonder Wheel feels like a cinematic hybrid spliced with the DNA from a number of separate, incompatible scripts. Consequently, Wonder Wheel’s actors are left stranded on a clumsily-crafted raft that offers no hope of escape. 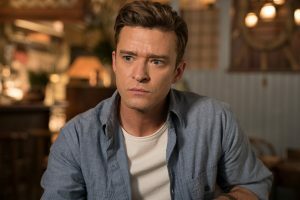 Timberlake feels misplaced within the film: struggling to nail the Brooklyn accent, he extends no insight into Mickey’s motives, playing him as a straight romanticist, an anachronistic decision to say the least. Winslet fares better, capturing the conflicted plights of Ginny as she tussles between her family and her newfound freedom. But even in this case, it’s Allen who does an injustice to the character. Ginny feels like a caricature ripped straight out of the studio era of Hollywood. I get it, Wonder Wheel is set within that period. But it doesn’t validate Allen’s decision to appropriate that period’s feminine stereotypes and inject them into a contemporary film without a hint of reflection. The film is admittedly gorgeous. Storaro’s photography lights up Wonder Wheel’s setting, Coney Island, with a blend of red, blue and gold filters that attribute a fairytale-esque quality to certain scenes. Moreover, the clever use of chiaroscuro lighting highlights the dialectical struggle that Winslet’s Ginny faces: one particular scene, involving a confrontation with Carolina, contrasts the optimism of the latter with the shock and surprise of the former through a light and dark lighting scheme. It’s a nice touch, but one that cannot save the film from its weak storytelling. Wonder Wheel doesn’t save Woody Allen’s reputation. Instead, it’s another minor diversion to be added to the list of lesser works from the man who once amazed with the likes of Annie Hall and Manhattan. It features a memorable lead performance from Winslet and is lovely to look at. But with all this show, there’s little to tell other than to avoid it when it hits a cinema near you. ← IT’S TIME TO DITCH #SUMMERBODY GOALS!